Bonafacio Bembo: Tarot Cards.The - Painted by Bonifacio Bembo for the Visconti-Sforza Family. An Iconographic and Historical Study. Herbert Silberer: Hidden Symbolism of Alchemy and the Occult Arts. Sun, Moon and Venus in Leo. Following the students of Etteilla, who passed on the oldest complete body of Tarot correspondences we can currently document, this grouping would be represented as Fool, High Priestess and Empress in the Hermit's land. Yes, that's right, the oldest Continental correspondence for the Sun is The Fool, Trump #0! I read this as the Fool for God, the wide-open mystic who is willing to go where the Divine Hand leads. We could also see him as a benign Pied Piper figure, leading the High Priestess and the Empress into the wilderness, into untrammeled and uncharted lands for refreshment and rejuvenation. Visiting the Hermit's virgin forest is like going back in time, back to a simpler but much more psychic and magical era. If the travelers are lucky they will be led to the Shaman's cave, there to be blessed, cleansed, healed and/or admonished, whatever he sees fit to share. Time to be exorcised, it seems! Mercury 1st degree of Virgo (about to go retrograde from August 2 - 25) = Star in Wheel's land. This is a fascinating combination. Here we have the soul, divested of the burden of ego, spinning the Wheel of Destiny, Fate, or Karma. When Mercury goes retrograde, the Star (image of the soul) shifts its tone from the kind and tender personal muse to the impersonal, implacable and unreachable Ideal. From its frosty heights of perfection, the Ideal forever rebukes the merely real for its provincial, mortal limitations. This looks like it could get awkward for situations that have been coasting on unchecked assumptions for a little too long. Mars in late Gemini (conjunct South Node) = Strength in Chariot's land. Here we have an image of Mars' drive and desire being granted a vehicle by which "he" can speed up the action and increase the scope of "his" impact. Most of the time this card will have a female figure heading it up -- though Etteilla did show Hercules in at least one of his packs. But always the card suggests an active force that is imposing its will on the landscape. This combination strongly suggests that one needs to speed up one's pace, take the necessary risks and arouse the courage to carry boldly forth. Jupiter at ~9 degrees Taurus, who will go retrograde at the end of August = Emperor in The Lovers' land. This combination points to the dependence of the refined and uber-civilized aspects of modern humanity upon our rustic and natural roots. Our ancestral connection to the soil of Mother Earth is still being lived out every year by the faceless masses at the bottom of the social pyramid around the world. What would happen if that pyramid were upended? With this combination of symbols the 21st century "1st world" citizen will learn what peasants have always known about healthy living on the cheap, with low tech and low environmental impact. This is also where we start consulting Nature for solutions to civilization's problems. Saturn at 12+ Libra = Judgment in Hanged Man's land. What can one say to this? Do everything within your power to pay back anybody whom you might have injured or to whom you are in debt. Help everybody that you can see is clearly unable to help himself or herself. Remember that "there but for the grace of God go I". Do unto others as you will be done to, because soon enough, you will be done to, too! Saturn is no respecter of individuals -- what one experiences, all will experience, though each will take it in their own way. Uranus (primal Air) at 4+ Aries, newly retrograde = Magus in the Pope's land. Ahhh, here we have the primal dilemma! The Magus is the aboriginal consciousness of the individual, innately and naturally embedded in the Divine Mind and living out the One Life together with All-That-Is. On the other hand, the Pope or Hierophant is the head teacher in the sacred University, and his franchise depends upon serving up dependable, duplicable units of "knowledge" which may or may not have a thing to do with the directly experienced mythic universe of the Mage. So, there's a culture clash coming to a head. My prayer is that both sides will find value in the other and the resulting synthesis will lift the global noosphere. Neptune (primal Water) in the first degree of Pisces, newly retrograde = Death in the realm of The Sun. Here we are in the grip of the Universal Solvent (a quote from Carl, below) while having a look into the final sign in the Zodiac, representing the end of the old cycle before the beginning of the new. The retrograde action will soon drag Neptune's visage back into Aquarius, which will bog down Neptune's energy between now and early February 2012. For the moment, this little turnaround at the first degree of Pisces is gives us a glimpse into the future that awaits early next year. But after August 6th, we'll be called back over the ground Neptune has already covered and make sure that we have absolutely no further unfinished business in Aquarius. It's pretty challenging to listen to, but the expert narrator, Carl Boudreau, is obviously well grounded in his intuitions. He's got an interesting technique that he's using: What he does, and I've never seen this done before, is to make a composite between the NewMoon and the FullMoon each month, rendering a chart showing the midpoint of each planets’ motion during the opening half of the cycle. It pictures forth the inherent "square of the Moon" against the backdrop of the dominant aspects prevailing across the surveyed period. This gives Carl a snapshot of the developmental crisis of the month. You will not recognize the chart as matching either the NewMoon or the FullMoon, because what he's working with is a derived average, the energetic middle ground of the two. Plus, his concept of aspects is very ancient, almost Babylonian or Vedic, because he sees things in terms of sign-to-sign relationships rather than degree-to-degree aspects. In all ways he's taking an archetypal, global approach that provides us an excellent view into the 'tenor of the times'. Fair warning: In this video the host is being calmly dramatic, which might take some aback. What's true is, no astrologer can deny the structures he's pointing out. People might quibble about whether he leaves the orbs too wide, or they may take umbrage at the Koch houses or his decision to base his calculations on Greenwich Mean Time. But none of those things can undermine the point being made. He's detailing aspect structures that bathe the whole planet in a particular matrix of both supportive and conflicting energies, and he's trying to describe what types of events we can expect to see as a result. Plus, his remarks about August 2 in relation to Mercury and the Void of Course Moon are right to the point. I am passing this on with the understanding that Carl's method tends to focus on the "bleeding edge" of the month, and this would be true every month he views through this technique. That being said, I can find little to disagree with here, and quite a bit to think about. You can find more from this wise and compassionate man at http://carlboudreau.blogspot.com. Thank you so much for your generosity, Carl! Things are gearing up in relation to my trip to France this fall. It's been a tumultuous process, making the cards and the book that goes with them. As these things are coming into manifestation, I am having my 2nd Saturn Return, which has been a triple-header due to the retrograde cycle Saturn just completed. Anybody with significant planets between 10 and 20 degrees of Libra has been in Saturn's wringer this year, and he's been having his way with us. Luckily I saw this coming last year and began making the necessary adjustments. Saturn is my lifelong companion, as he appears with the Sun, Neptune and Mercury in my birth chart, between 12 and 22 degrees of Libra. There is a sense in which my entire life to date has been focused on this upcoming fall. And it just so happens that I'll be at the podium in France for the completion of Saturn's tour of my Sun bundle. He'll have a front-row seat for my coming-out party! In case there's still someone out there who hasn't heard, I will be giving a Keynote Speech at the Association for Tarot Studies conference in France this fall, where I will launch the new Tarot of the Holy Light created by myself and my partner Michael Dowers. I believe there are still spaces open at the conference, so head on over to http://association.tarotstudies.org/2011convention.html and claim your spot at this unique and groundbreaking event! You will not believe the lineup, the people who are attending, the venue -- it’s going to offer superlative experiences for those lucky enough to be part of the fun. 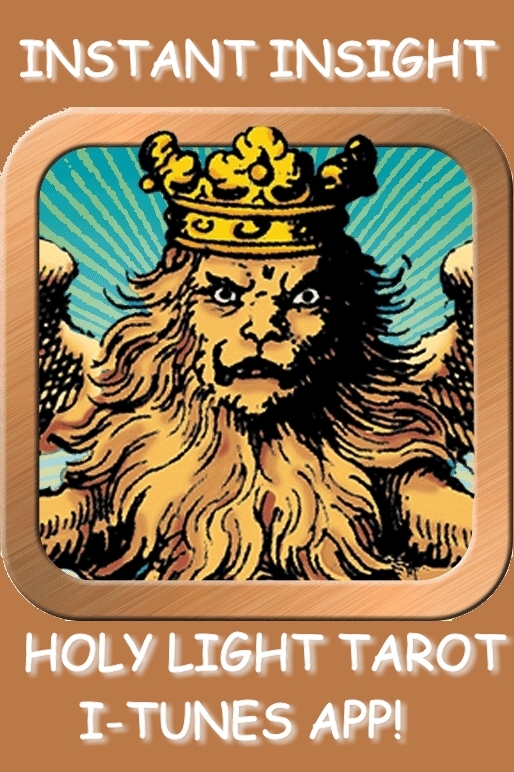 Truly, esoteric Tarot is coming of age! In preparation, I have been making a set of webinars with Linda Marson at globalspiritualstudies.com, the first of which launched a week ago. It was entitled "The Cathedral In Tarot; Sacred Numerology", and it went splendidly with Linda's expert support and assistance. 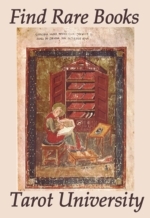 Check it out at http://globalspiritualstudies.com/shop/presentations/tarot/christine-payne-towler-number-theology-in-tarot/. In the next two weeks, August 2nd and 9th (at 6:00 PM PDT) I'll be presenting a 2-part series called "The Coming of the Goddess To Tarot". Both of these short courses are/will be available for one-time viewing or can be purchased in DVD form for your permanent collection. DVD's will be available at the ATS Conference in France as well. NewMoon at 7+Leo on Saturday, July 30th, at 2:41 AM (EST) / 11:41 AM (PST). From this moment, the Moon begins to wax, or increase. 2nd Quarter, Waxing Half Moon at 13+ Scorpio on Saturday August 6th at 7:09 AM (EDT) / 4:09 AM (PDT). Full Moon at 20+ Aquarius Saturday August 13th at 2:59 PM (EDT) / 11:59 AM (PDT). From this moment, the Moon begins to wane, or decrease. 4th Quarter, Waning Half Moon at 28+ Taurus, on Sunday August 21st at 5:56 PM (EDT) / 2:56 PM (PDT). Next NewMoon at 5+ Virgo, on Monday August 29th, at 11:05 PM (EDT) / 8:05 P (PDT). From this moment, the Moon begins to wax, or increase. Anyone objecting to the use of their image in this free publication can have it removed immediately - Ed. Tarot.com: Why does it work? Renna S on Masonic/Martinist Tarot, or Was Etteilla an Initiate?